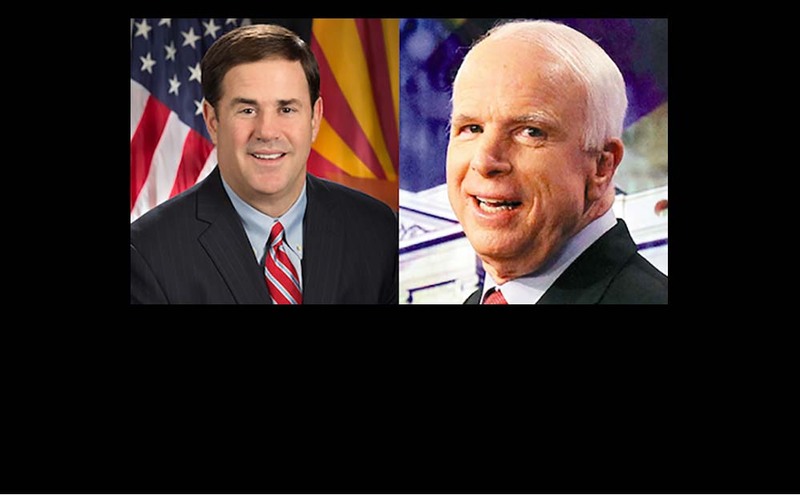 Doug Ducey, Arizona Governor, will announce the senate successor following Senator McCain’s burial, as stated by the Washington Post. Senator John McCain passed away this past Saturday at 81-years-old. He will be buried in Annapolis at the U.S. Naval Academy Cemetery on Sept. 2, according to an announcement from his office. A spokesperson for Gov. Ducey, Daniel Ruiz, acknowledged that the governor is paying respects by postponing the senate announcement. “Now is a time for remembering and honoring a consequential life well lived,” Ruiz proclaimed. According to Arizona law, Ducey is required to make an announcement as to who will replace the position in the next general election in 2020. The replacement will be a member of McCain’s Republican party. Potential successors have been speculated by the Washington Post, including: former Senator Jon Kyl, State Treasurer Eileen Klein, Cindy McCain (Sen. McCain’s widow), Kirk Adams (Ducey’s Chief of Staff), or Congressman John Shadegg.